At Future Vision Remodeling, we are a family owned and operated, licensed and insured full service remodeling and renovation company providing professional home additions as well as interior and exterior remodeling services to residential homes in San Jose, California and the surrounding areas. Our team of expert designers, project managers, and craftsman work hard to create the home of your dreams down to the smallest of details. We provide a variety of customized services whether you desire to makeover just one room, install a complete landscape or remodel your whole home!. Are you thinking about adding a room to your home or a complete expansion of your existing space? At Future Vision Remodeling, our experienced design team will design a plan using revolutionary 3D software to build a model to your exact specifications. Our builders and craftsman will take the time to explain all aspects of your remodel as we walk you through your 3D image to allow you to experience the reality of your newly planned space firsthand. At Future Vision Remodeling, our designers, project managers and construction team will work together to flawlessly execute your designs. From start to finish, we will work with you every step of the way to ensure that you are completely satisfied. Your project manager will ensure that your construction team adheres to the timeline and will also take care of scheduling and ordering your product selections. Our professional approach and attention to the smallest of details ensures that your project will be completed on time and on budget. At Future Vision Remodeling, we perform all manner of major home renovations including structural and cosmetic repairs. If you are in the market for a room addition, look no further than our experienced team of professional designers and building experts. We bring passion, quality, and a level of craftsmanship to each and every construction project that cannot be touched by our competitors. At Future Vision Remodeling, we combine design with premium craftsmanship using the highest quality products available on the market to perform additions and remodels to your existing space. 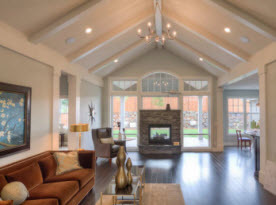 From open floor plans, to room additions and whole home additions, our team of designers, project managers, builders, and craftsman work together to create the home interior that you have always dreamed of. At Future Vision Remodeling, we perform all manner of exterior and outdoor construction projects including designing and building decks, patios, pools, outdoor kitchens and much more. We take into account the size and natural elements of your lot to design and construct features to maximize your property value. We use the highest quality materials available so you can enjoy your new outdoor space for years to come. 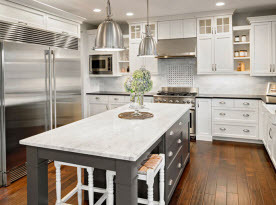 No matter what projects you have on your wish list, our knowledgeable design team can make them a reality by offering you the finest home design, kitchen, bathroom and home remodeling upgrades and repairs in the construction industry. 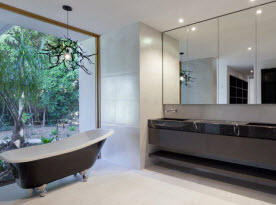 All of your projects will be given the same attention to detail no matter the size or scope of the remodel or renovation that needs to be executed. 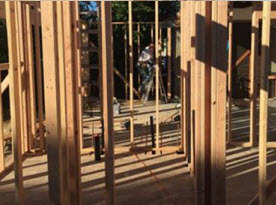 For more information regarding interior & exterior construction, remodels and renovations for your San Jose, California home, contact the knowledgeable experts at Future Vision Remodeling today.